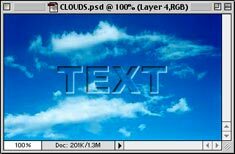 Photoshop Tutorials, Free Fonts and More! Please check out the free fonts section of the site. These free fonts are personally hand-picked by me. I feel these free fonts are from the best font designers on the Internet. Please Enjoy these free fonts from Mike's Sketchpad! There is a new font format called OpenType® that works on Macintosh® and Windows® computers. This tutorial tells you all about it and why it is shaping up to be a very important development for desktop publishing. One of the most popular tutorials is the QuarkXPress tech manual tutorial. This is a 42-part tutorial and is one of the most comprehesive on the Internet. Many Quark features found in this tutorial are covered in detail and in a context which they are best understood. In addition to the tech manual tutorial there are many more QuarkXPress tutorials in the Quark section accessible from the navigation panel on the left. Plus there is a nice assortment of Photoshop tutorials. Subjects covered are working with layers, working with channels, creating and using textures, using the pen tool, making clipping paths, special effects and much more! Here you will find the tutorial "Mastering Illustration Programs" - a must for anyone learning a drawing program for the first time. This tutorial series takes you step-by-step through many of the fundamentals common to most drawing programs. You can find these tutorials in the Drawing Basics section of the website. Another popular series shows you how to create these gel buttons using Deneba Canvas and Adobe Illustrator. You can find the Canvas tutorials here and the Illustrator tutorials here. The newest tutorial is Vectorizing a Logo From an Image. It is a 17-part special project tutorial that uses Adobe® Photoshop®, Adobe Streamline® and FreeHand®. This tutorial shows you how to convert raster images into vector format that is suitable for desktop publishing applications such as QuarkXPress or Adobe InDesign®.